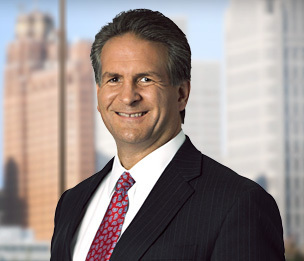 James G. Aldrich leads the Firm's Immigration Team in the Labor and Employment Department at Dykema. He has significant international business and immigration experience including advising on the immigration aspects of investment opportunities in the U.S., corporate formation and the employment of foreign nationals in the United States. He develops long-term plans to coordinate the business goals of clients with available immigration benefits, and assists clients in the preparation of visa petitions and supporting documentation. Mr. Aldrich focuses his practice on representing clients before the US immigration service, Department of Labor and other governmental agencies including immigration-oriented issues related to establishing new companies in the United States through foreign investment and the transfer of workers to the United States including obtaining green cards and non-immigrant visas. He also assists clients with confirming the employment eligibility of their workforces and defending them in government investigations in this area. Clients quoted in Best Law Firms 2018 note that Mr. Aldrich "does an excellent job of answering questions, providing proper guidance, and responding quickly." Assisted major seasonal hotel in obtaining Q-1 Cultural Exchange Visitor visas for Austrian chefs when H-2B visas were unavailable. Assisted client in obtaining permanent residence as an alien of extraordinary ability based on award of the Shingo Prize for excellence in lean materials manufacturing. Assisted client in recovering legal immigration status for several executives after immigration issues were ignored during sale of their company. Addressed Chinese Business and Government Groups in Shanghai, Wuxi, Suzhou, Chongqing and Guiyang, China regarding immigration benefits through investing in the United States. Addressed Chinese Business and Government Groups in Shanghai, Guiyang and Guangzhou, China regarding immigration benefits through investing in the United States. Addressed Chinese Business and Government Groups in Shanghai, Guiyang, Ashun and Zunyi, China regarding visas available through investing in the United States. "ICE Begins Aggressive Employer Audit Campaign"
"Q-1 Cultural Exchange Visa: An Alternative to the H-2B?" "Paying an Employee Who Does Not Have a Social Security Number"
"ICE Steps Up Aggressive Employer Audit Campaign"
"Responding to a 'No-Match' Letter from the Social Security Administration"
"Visas for Foreign Registered Nurses Now Available"